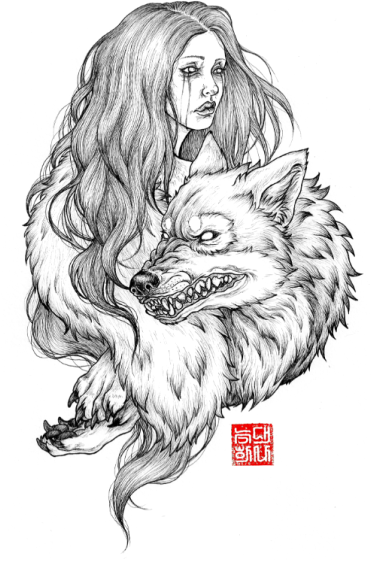 " Hana is an artist and illustrator living in North East England, and was born in South Korea. Her pieces are insightful and perceptive, and reflect her belief that within every person is a “complex and tumultuous core deep within.” Much of her work is based around animals and nature, and a symmetry between the “pain and purity” of the natural world and our own. Hana effectively portrays inner turmoil in this way, leaving the viewer with a sense of the animalistic and instinctual power of emotion. Her interest in emotions and the inner workings of the mind not only influence her work, but have propelled her into exploring education in counseling and art therapy, while continuing to sculpt and illustrate. Hana is inspired by nuances: small moments that reveal inner rhythms. "